Banking aspirants all across the country can expect a sudden upsurge in opportunities in the coming months. That’s because employment opportunities in the banking sector are expected to increase drastically during the October – November period with the Reserve Bank of India expected to issue new small and payment bank licenses starting next month. Human Resource professionals also agree that a large number of Indians residing outside the country are expressing their desire to come back, and many of them are looking for mid to senior level executive position in the banking sector. According to some estimates, nearly 40,000 new jobs will be generated in the banking sector through the next couple of years. Some headhunters believe, the reason behind this is India’s growing stature as a place as good as any other country in the world to offer exciting employment opportunities. Moreover, the economic turmoil in Greece and its subsequence effects in the Eurozone is also making a lot of Indians living in Europe to think of an alternate plan. 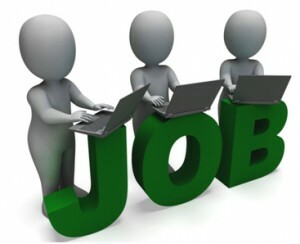 “There will be thousands of fresh jobs in the banking sector and recruitment would start by October. There will be clarity once the bank licences are issued,” said Ronesh Puri, MD, Executive Access. “Unless an existing microfinance company, or non-banking finance company, is converting into a bank, all others would require large number of employees,” Ashvin Parekh, managing partner, Ashvin Parekh Advisory Services said. The new small banks will be allowed to provide only basic banking services such as acceptance of deposits and lending. Any new payment bank will have the authority to accept deposits, issue debit and ATM cards,and to allow payments as well as remittances, SKS Microfinance, and IIFL Holdings, amongst others.